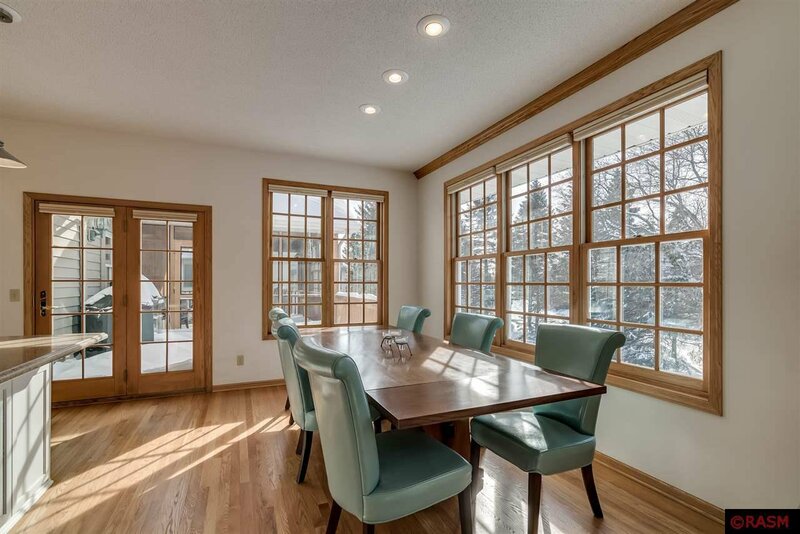 Sprawling 4 bedroom, 4 bath rambler with over 4,400 finished square feet situated on .47 acres of meticulous landscaping. 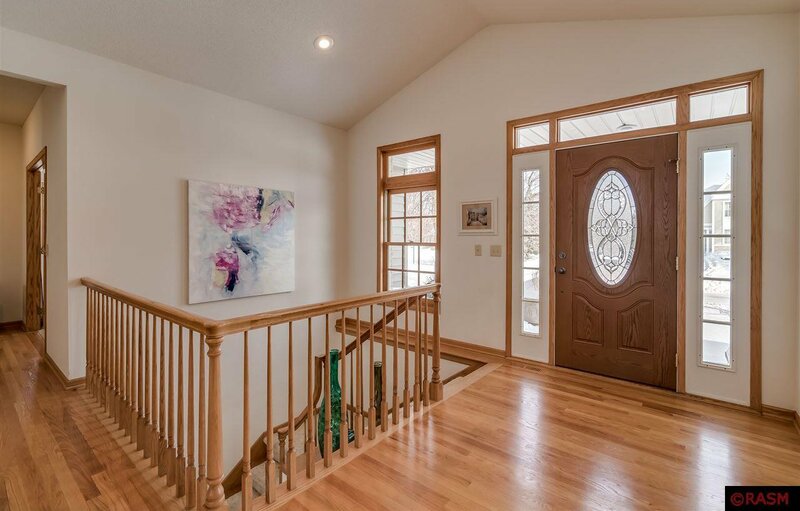 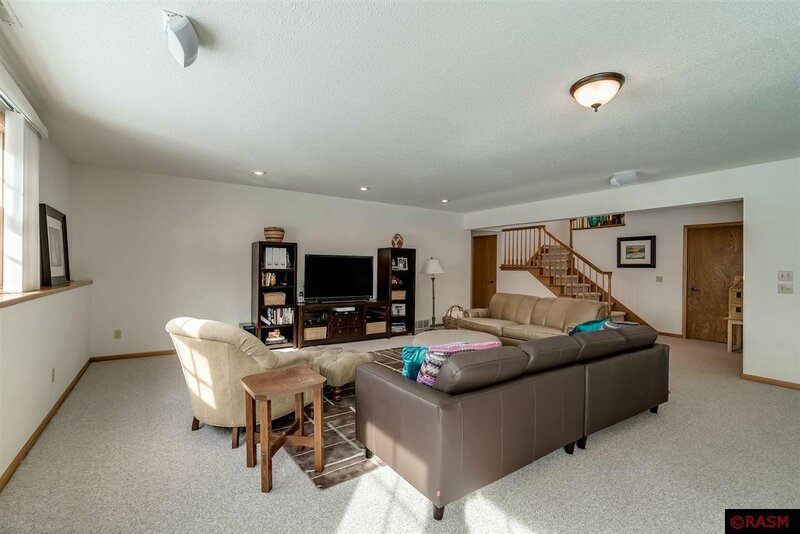 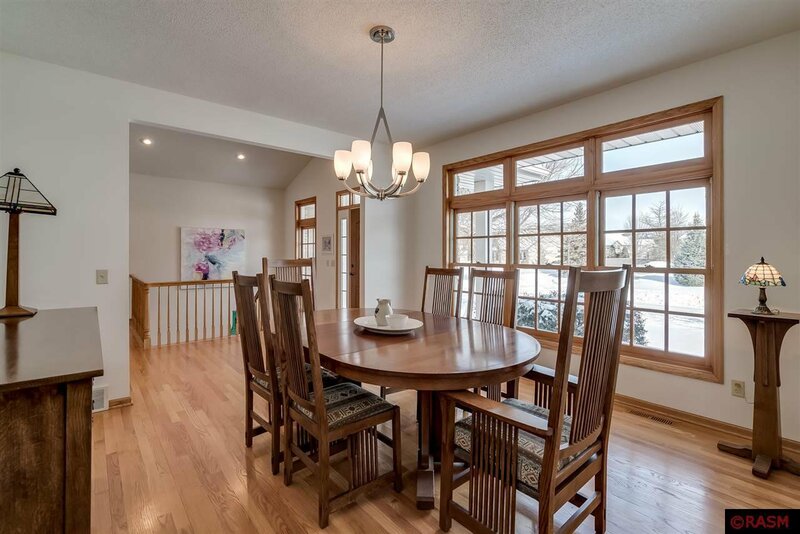 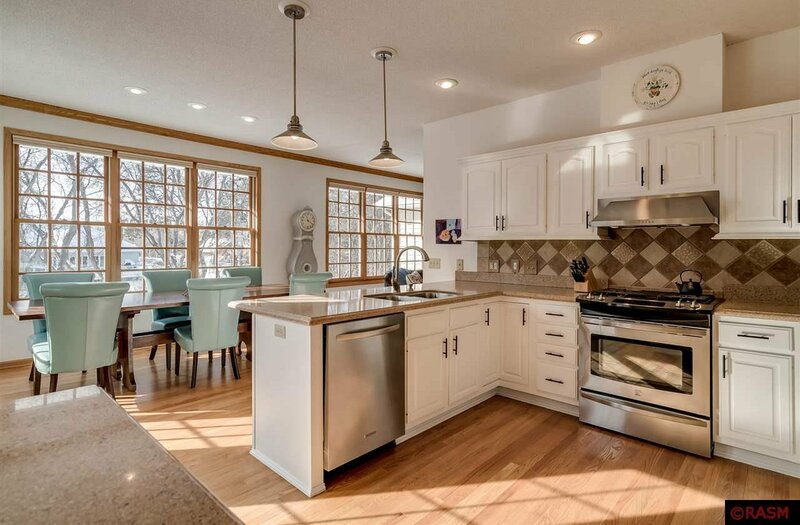 Entrance to the foyer gives way to the openness of this home with 9 ft ceilings throughout. 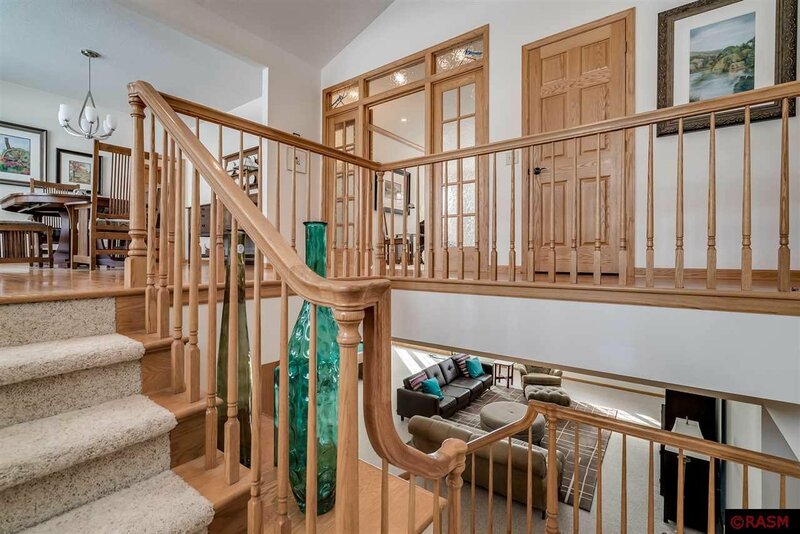 Take it all in as you view the formal dining room, french doors into grand living room and open staircase to lower level. 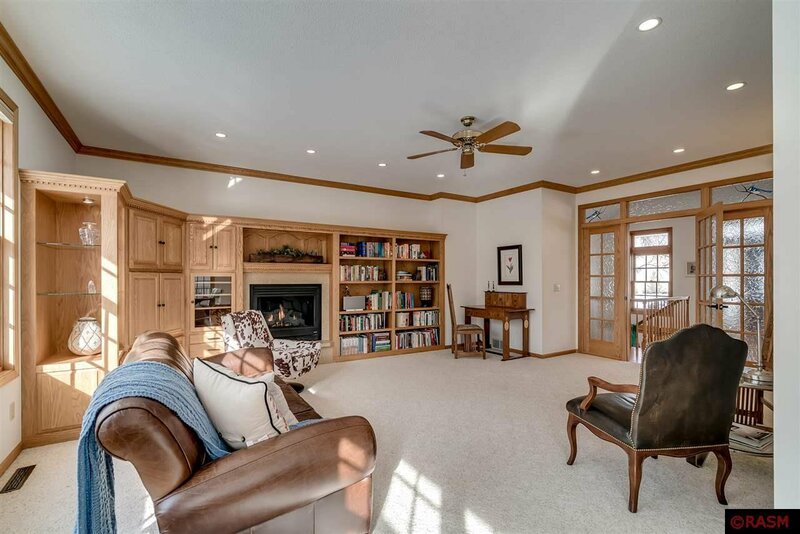 The living room features a Kasota stone accent gas fireplace surrounded by spectacular built-ins and bookshelf display. 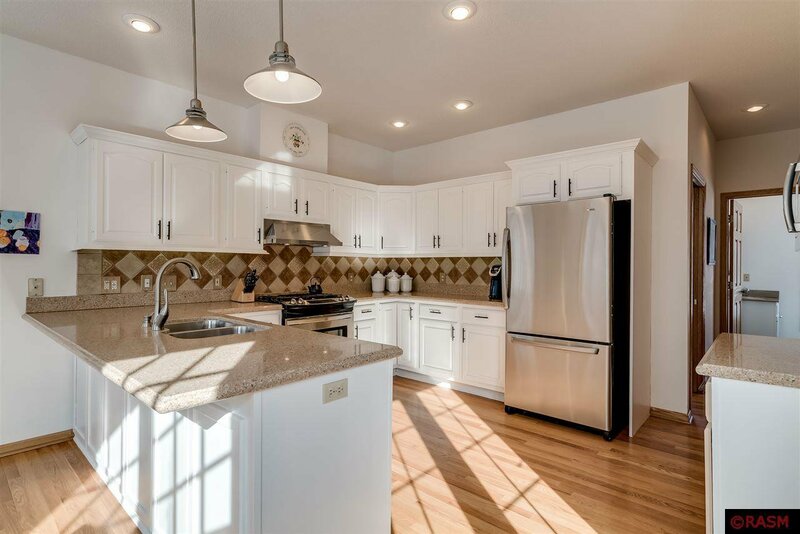 Continue into the bright kitchen with granite counters, breakfast bar, hardwood floors and additional space for dining. 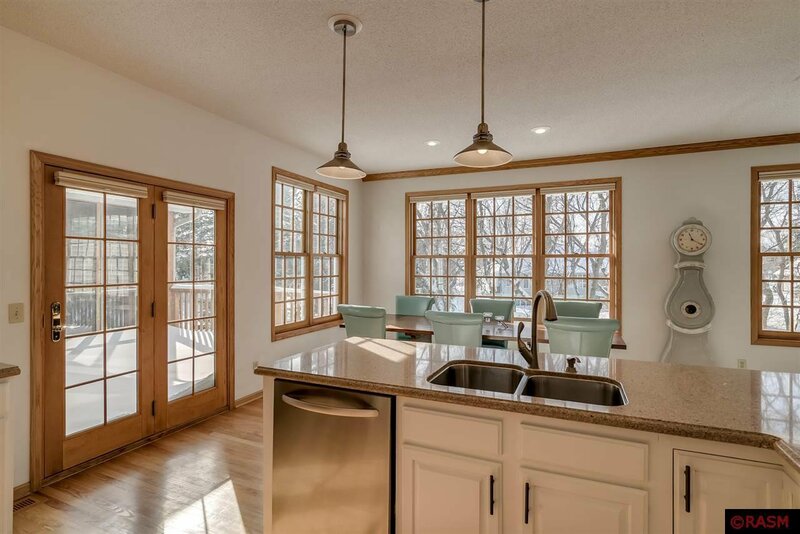 This is one of the many perfect spots to view the wooded backyard from the large windows. 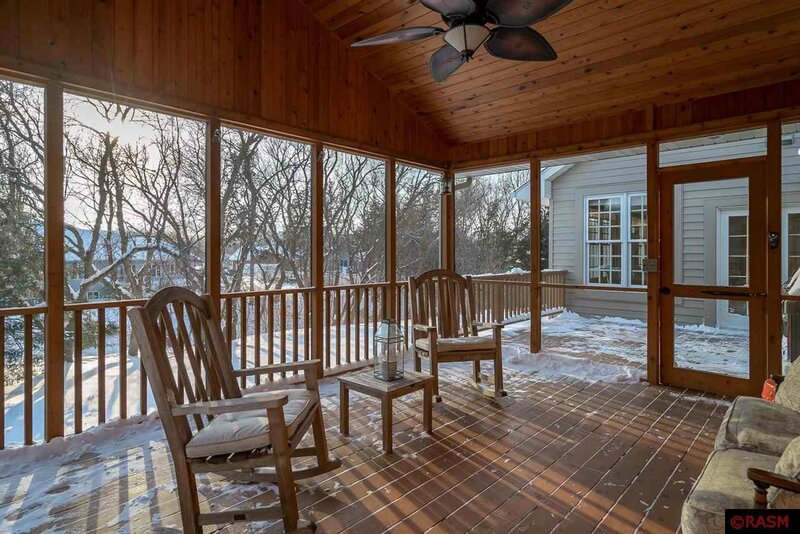 French doors lead to deck and 3 season porch with vaulted ceiling. 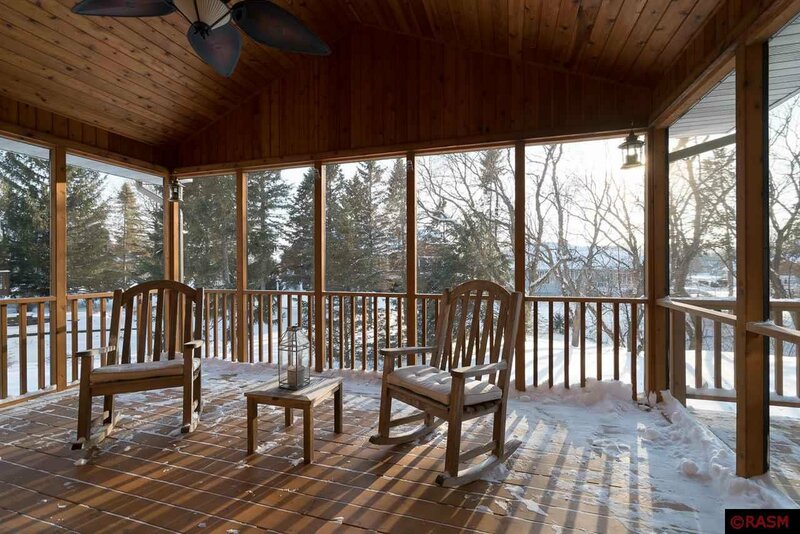 Enjoy your evenings relaxing in this serene spot. 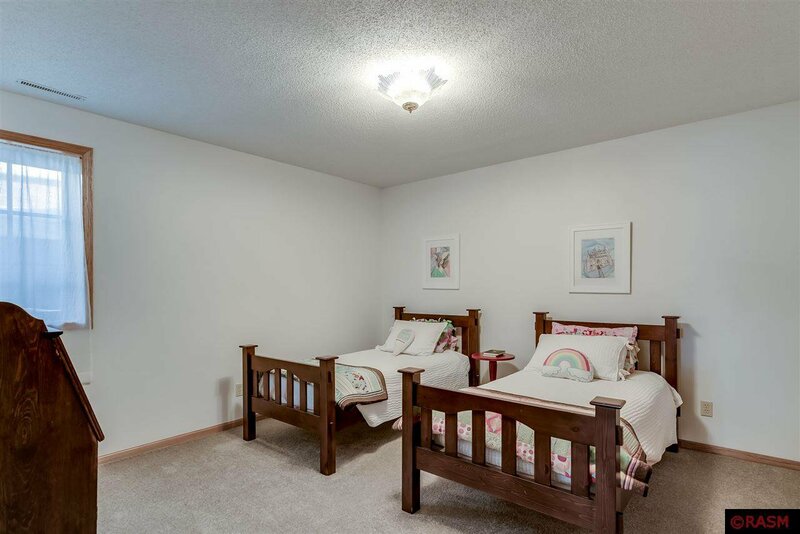 Down the hallway is a half bath and conveniently located main floor laundry. 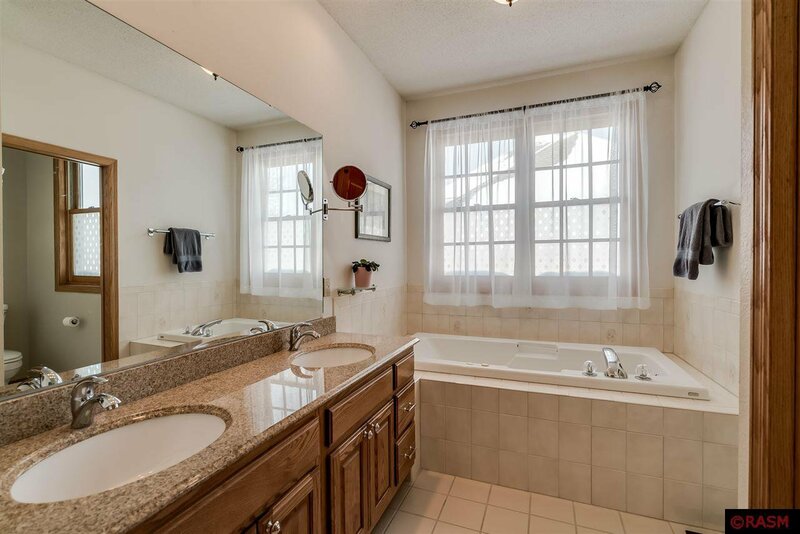 Master suite is complete with a private bath including whirlpool tub, dual sinks with granite counter and separate shower. 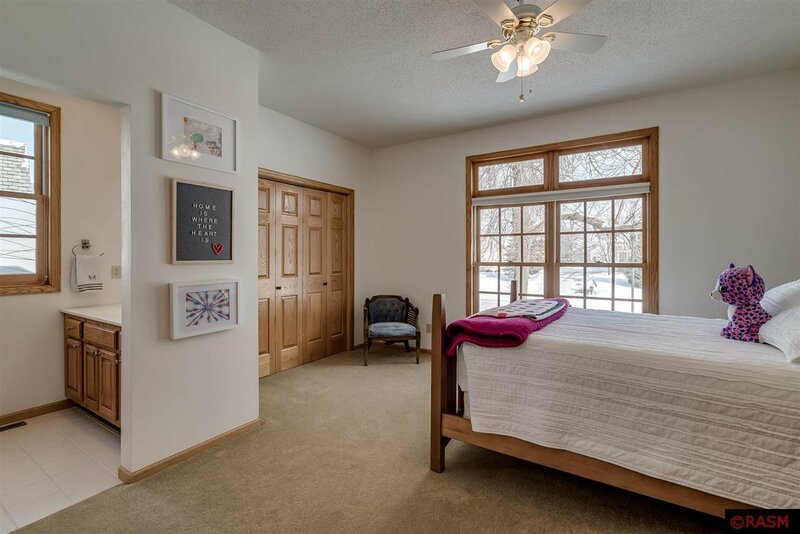 Second bedroom offers private bath, double closet and transom windows allowing for plenty of natural light. 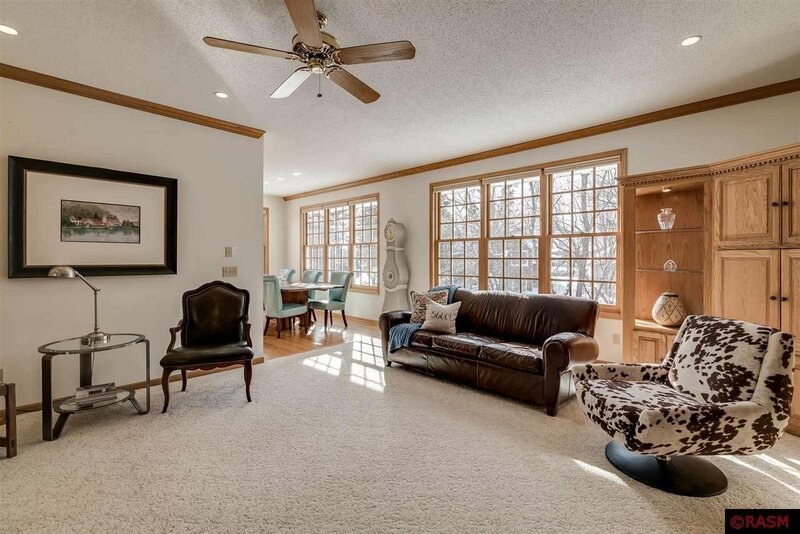 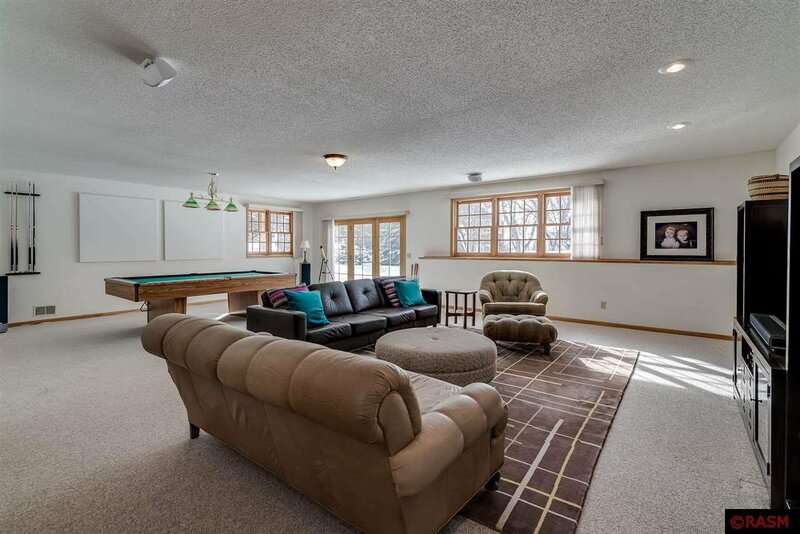 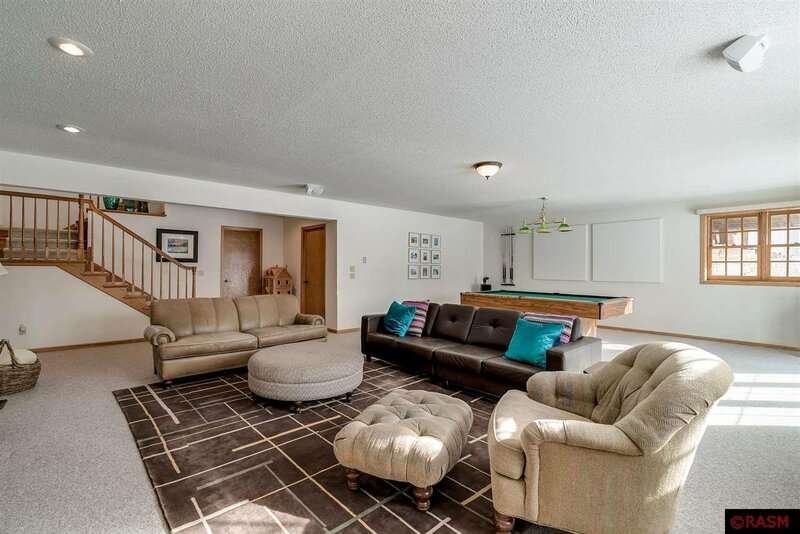 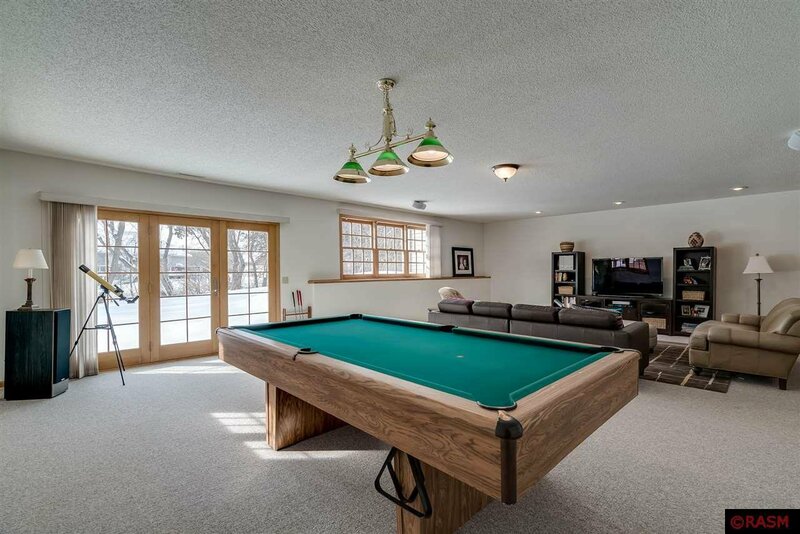 Lower level family room boasts a great space for entertaining and french doors that walk out to patio. 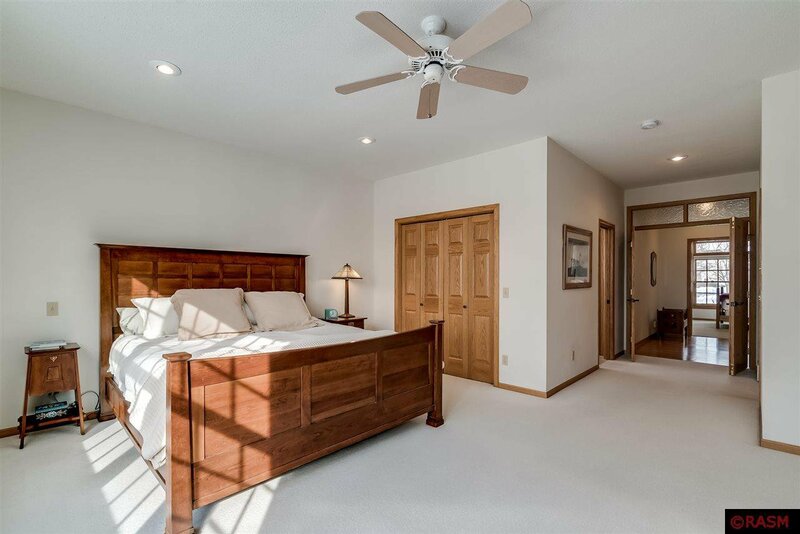 Finishing off the lower level are two more bedrooms, two storage rooms and a full bath. 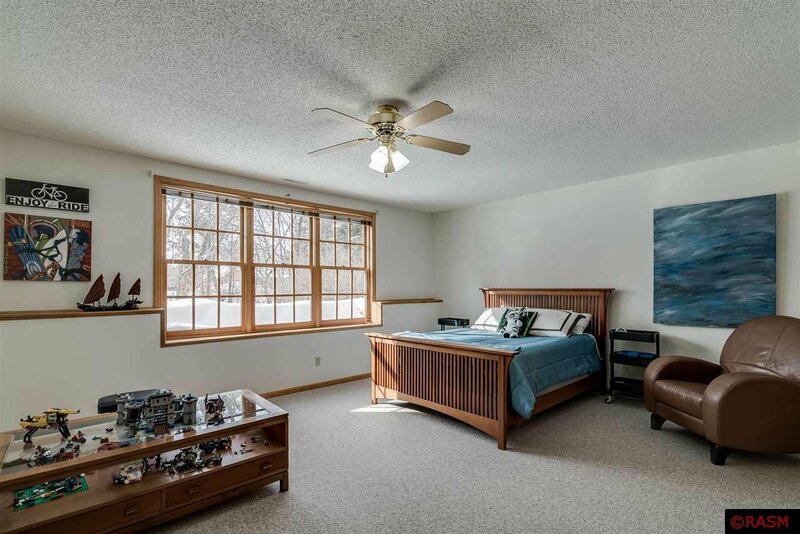 This property has an abundance of closet space, triple attached garage, irrigation system and prime views on a coveted lot.